“If it’s not in the scrapbook, it didn’t happen” says the kitchen magnet my friend Amanda gave me for Christmas several years back. This sums up this blog (and me!) in a nutshell. I’m Deb and I’m a 28-year-old young lady born and raised in Toronto who now lives in York Region in the GTA. I graduated from grad school 2 years ago with my MA, I now work in the food & beverage industry, and with Ate by Ate by my side I’m doing what I love to do: photographing, documenting, and writing about food. Ate by Ate is all about trying to make people hungry when they look at my food photos, and sharing my love of food and all things foodie-related through my scrapbook pages, photos, stories and posts. If you happen to drool over your desktops, laptops, or mobile devices, that’s a bonus. Aside from food, I love fashion, jewelry, baking, flowers and gardens, reading murder mysteries, exploring Toronto’s every nook and cranny, and having enough lip gloss to fill a cargo ship. I love putting together outfits and accessorizing (I LOVE colour! oh, and polka dots, and argyle, and houndstooth…), and baking cupcakes and cookies. I’m a huge fan of Nancy Drew books and I’m absolutely in love with Joanne Fluke’s food murder mysteries among others. I’m a city girl at heart and it gives me joy exploring and photographing all of Toronto’s unique neighbourhoods and enclaves (I take photos of different gardens around the city as well as beautiful graffiti! ), and I have dreams of going to art school, travelling, having a home and kitchen to call my very own and just enjoying life to its fullest. Thanks for reading and I hope you enjoy the blog. Love your blog! Big thanks for the wonderful shout out to the Dessert Lady! It’s great to get postive feedback from our sweeeeeeeet clients. Hi Lori, thank you so much for visiting! I’m so glad you like the blog and they’ll be many more Dessert Lady posts to come! Hopefully I can come by during the holidays to pick up some sweet treats ^_^ Take care and hope to see you around soon! I just discovered your blog through the Healthy Hipster and am really enjoying it! Your writing and photography are wonderful. I’m a Toronto girl too (although I live in Waterloo and the moment) so am always happy to find other T.O. bloggers. Yay, I’m so happy you found me!! And high-five for being a T.O. girl in the blogasphere! We need to stick together 😀 I’m really happy you’re enjoying the blog and hopefully we’ll get to know each other better through our blogs. Thank you for visiting, reading, and commenting, I appreciate it so much. Where is this place at?? It looks amazing! Hi Ashlyn, thanks so much for visiting and leaving me a message! 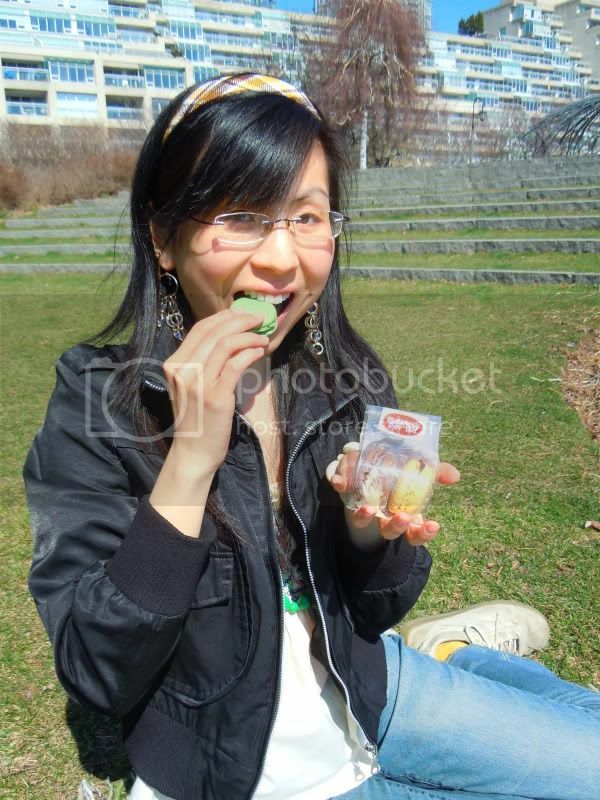 The photo was taken at King’s Cafe in Kensington Market, one of my favourite vegetarian places in the city! Such good food and it’s a wonderful space. Not to mention I love Kensington Market to pieces! Nice to meet you the other day. I’ll keep you in the loop re my BREAD! show that’s in the Toronto Fringe in July. Great. I’ve got my theatre, Annex Theatre, and times. Details later. Of course a free ticket will be waiting for you if you. Greg Ellwand’s BREAD! is looking good @ the Annex Theatre July 6,7,8,10,12,13,&15. I was told that Darkhorse Espresso Bars are owned by Starbucks. It’s overwhelming and I’m learning each day. Please tell me what Deb < 3 means? Have you tried making cupcakes and macarons? Hi cravingthis! Thank you so much for the compliments, I work really hard on Ate by Ate and am I’m so happy you enjoy the blog and that you left me a message 😀 I love that you view blogging and everything else as a learning experience too, it’s really what makes this so rewarding and fun because you know there’s always something to look forward to. Often times I wish I had a really nice DSLR (one day I will!) too but I’m really proud of being able to get by with a better-than-a-point-and-shoot-but-still-non-DSLR; we work with what we have, right? I’ve definitely made cupcakes, but not macarons yet! I’ll filled macarons with ganache, but I haven’t actually made the shells. I’d love to make whoopie pies though! And “Deb <3" just means with love as the "<3" is internet speak for a heart, haha. I hope you continue to follow and enjoy the blog, it means a lot! I was hoping to get your email address in regard to a program happening at the TIFF Bell LB. I would appreciate it if you contacted me. Hi Vanessa! Thanks so much for contacting me, I just popped you an e-mail at the e-mail address you used to leave this comment so hopefully it got to you okay! 🙂 I used to have an e-mail address for the blog but it started getting a little too spammy so I took it off and mainly use my FB page and Twitter now. Can’t wait to hear from you! Congratulations on your web site and content. I can tell that it takes great imagination, creativity and lots of hard work to make this happen. I just came across it and it immediately captured my imagination! If interested I heard that there will be a vegan pulled pork sandwich at Riverdale Zoo Farmers Market on Winchester off Parliament. Had one last Sunday in Kensington Market at a booth on the street. Wow what a great sandwich! That sounds amazing, thanks so much for letting me know! I most likely won’t be able to get to the Riverdale farmers’ market anymore (I work during the week now and really can’t make it down, bummer), but I will definitely pass this along to my vegetarian and vegan friends! Thanks again for leaving me a message, I hope you enjoy the blog, Jim! Ah I’m so happy you’re so excited! :) You’re welcome!! Oh, no worries at all chica! haha you don’t even have to do it! your choice:) and ah you’re so welcome. Happy new Year! 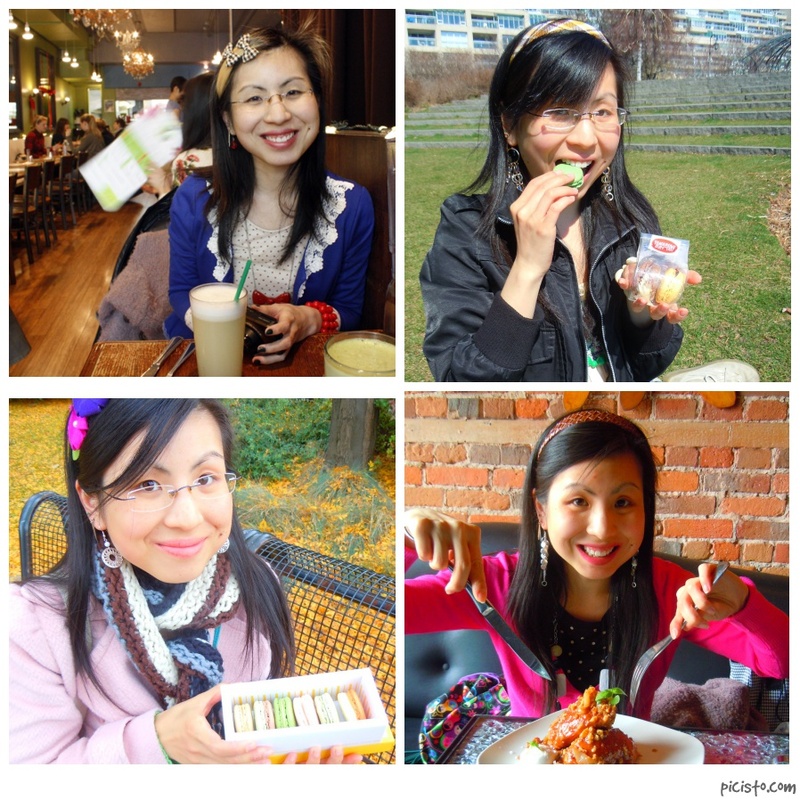 I was thrilled to discover a fellow Torontonian sharing her love for food. That’s why I’ve nominated you for the “Blog of the Year 2012” Award. Looking forward to following you in the new year! http://wp.me/p1pWgv-c2. I hope this finds you well! Getting in touch to share an invitation with you to an event we’re hosting next week with Elia Herrera from Los Colibris, and to see if you can join us. The event is on June 4 at 4:00 p.m. It’s an outdoor cooking class! I’d love to send you the invite and for you to join us! Feel free to send me a note when you have a moment. I know you’re a fan of sweets, and as a fellow foodie myself, I have been organizing non-profit food festivals in my spare time. I would like to personally like to inform and invite you to a new festival that will be collaborating with George Brown Culinary School to raise money for Sick Kids on Aug 15-16th, called Sweetery! We’ll have pinatas and games and such for the first sweets festival of its kind in Toronto. Feel free to give me a shout, maybe we can meet up and I’ll give you a tour! Hi Deb, I enjoy your blog, very informative and insightful. I manage a Thai and Vietnamese restaurant downtown with amazing foods and drinks in a intimate and relaxing setting. I invite you to come and try our foods and drinks and let us and your followers know what you think of our place. Ps. Hope to see you soon. Cheers! My name Monica, the Sales and events Manager from MoRoCo Chocolat. I’ve come across your food blog page and I must say that I am very impressed! Your blog is super cute and really detailed! I love it! I would love to extend an invitation out to you to come visit us at MoRoCo, and experience what we have to offer, on us, of course! We offer high tea service, as well as a full menu to order from. We also serve brunch on Saturdays and Sundays. Feel free to contact me via email or phone, and we can set up a reservation for you to come in and check us out! Hi Monica! Thank you so much for leaving me a message here and for reaching out with an invite, I’m really excited about it! I will contact you in the next few days so that we can set something up. Thank you again! Your blog is a great read! Your posts are so detailed but also showcase your bubbly personality! On behalf of the management team, we would like to extend an invitation for you to be our guest at Genghis Khan Mongolian Grill, located in North York. We are an All You Can Eat Mongolian Grill restaurant that prides our self on our level of service and quality of our food. We hope you will accept this invitation and come experience the Mongolian Grill. Any feedback you have for us about your dining experience would be appreciated and welcomed. Please contact us at your convenience to accept the invitation. Thank you and we look forward to having you dine with us! Harney & Sons teas are now available for purchase online in Canada. Toronto based company called Premium Teas distributes in Toronto and sell Harney & Sons teas online in Canada as well. They offer free shipping on all order over $35.